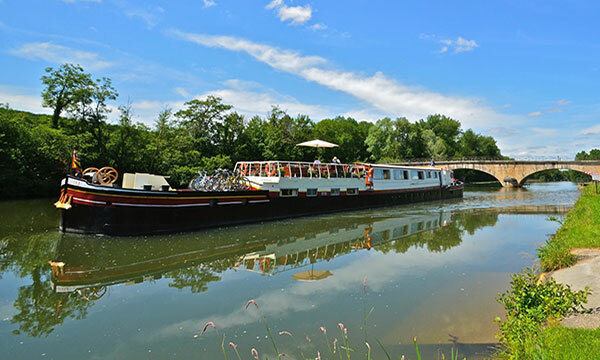 With its well-rounded itinerary, attentive crew, and stunning cruise route, the L’Art de Vivre is styled as a timelessly chic floating country inn, fitting very well into the idyllic scenery of Northern Burgundy. The inviting décor and informal atmosphere aboard this lovely barge offers a tranquil vacation deep within the countryside of rural France. Gently plying one of the most scenic cruise routes in all of barging, the vessel floats past lovely towns and rambling pastures; weeping willow trees line the shore and charming country cottages come into view often. Guests can admire this remarkable scenery as they relax in the hot tub on the on the deck or watch from the skylit salon’s comfortable couches, perhaps with a glass of wine or cup of tea. For those inspired to be more active, a bicycle ride or leisurely walk along the towpath is the perfect afternoon activity. Cozy and comfortable, the wood-paneled cabins are identical in size – and are quite cute! Culinary delights are integral aspects of the L’Art de Vivre’s experience; gourmands will be thrilled by the seasonal cuisine inspired by the region’s many epicurean specialties. Guests are further treated to the hand selected wine pairings during lunch and dinner, which reveal the area’s renowned Burgundies. 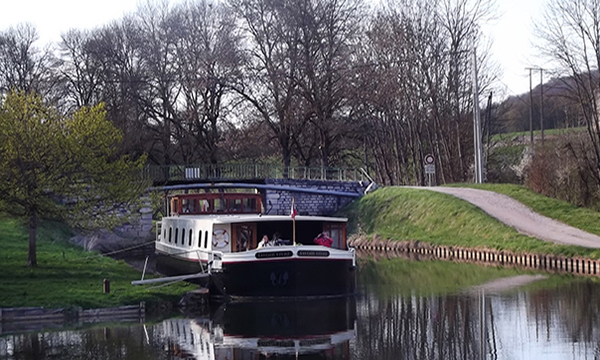 Escorted excursions round out this classic canal cruise, and include visits to area attractions and local landmarks, as well as a very special private winetasting deep in the vineyards of Chablis. In the afternoon, you will be met by a L’Art de Vivre crew member at the designated meeting point. From here, relax as you are chauffeured to L’Art de Vivre, moored in the town of Auxerre. A traditional champagne welcome and introduction to the crew awaits you, before your first gourmet dinner aboard. A morning cruise glides past charming villages and vineyard-clad hillsides. Explore the caves of Arcy sur Cure this afternoon. A complex of underground chambers carved by water from the limestone rock which are home to some of the oldest cave paintings known to man, these extraordinary images were created 28000 years ago by their Paleolithic inhabitants. Afterwards, visit the cellars of Bailly-Lapierre, also carved out of the rock, for a tasting of sparkling Crémant de Bourgogne. Return to the barge for drinks and dinner onboard. Today, your Tour Guide accompanies you to the town of Auxerre. Located on the banks of the River Yonne, Auxerre was first settled by the Romans, and, as an affluent port city for the wine trade, boasts a Cathedral, an Abbey, and a Church. Known for intact Medieval buildings, this is the ideal place to stroll along cobblestoned streets, browse the boutiques, or enjoy a cafe in the town square. Return to the barge for an afternoon cruise, and socialize in the salon with a glass of locally produced wine before Chef presents tonight's dinner. This morning, your Tour Guide escorts you to the celebrated wine village of Chablis. After viewing the vineyards, visit the prestigious Domaine Laroche for a winetasting, which is then followed by a tour of the monastery of St. Martin. Here is where monks developed the craft of winemaking in the Middle Ages and to this day it remains the location for aging the wines. 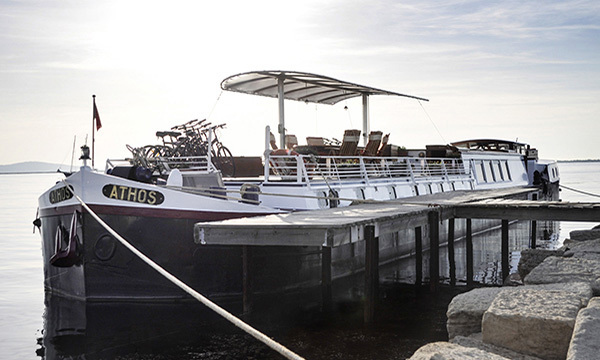 After lunch ashore at the Domaine, an afternoon cruise is the perfect time to explore the towpath by bicycle or on foot. Cocktails and canapes precede dinner onboard. Relax on deck during this morning's cruise. The excursion the afternoon is to the hilltop town of Vézelay, one of Burgundy’s most beloved treasures. A view of the surrounding countryside awaits! Both the town and its 11th century Romanesque Basilica of St Magdalene are designated UNESCO World Heritage sites; Vézelay Abbey was also a starting point for pilgrims on the Way of St. James to Santiago de Compostela. After your tour, browse the village's shops and boutiques. Back onboard, Chef serves tonight's gourmet dinner. Start the day with a tranquil traipse or a gentle pedal on the towpath during this morning's cruise. 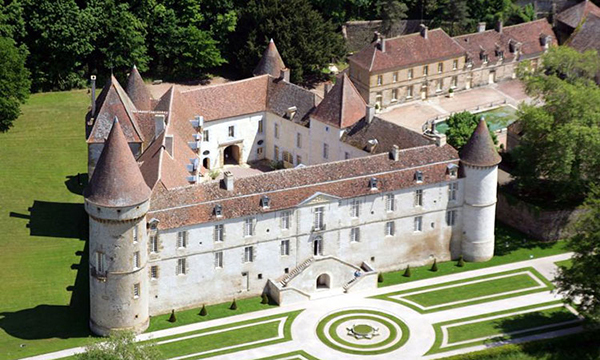 This afternoon, your Tour Guide escorts you to the Chateau of Bazoches, originally built in 1180 by Jean de Bazoches. Since 1675, it has been owned by many families and dynasties. Intriguing architecture abounds; the trapezoidal-shaped feudal castle comprises three round towers and a rectangular keep. Afterwards, your Tour Guide will return you to the barge for a festive cocktail hour and the Captain’s Dinner.